An all-female gym gives some women the most comfortable space for sweating it out. 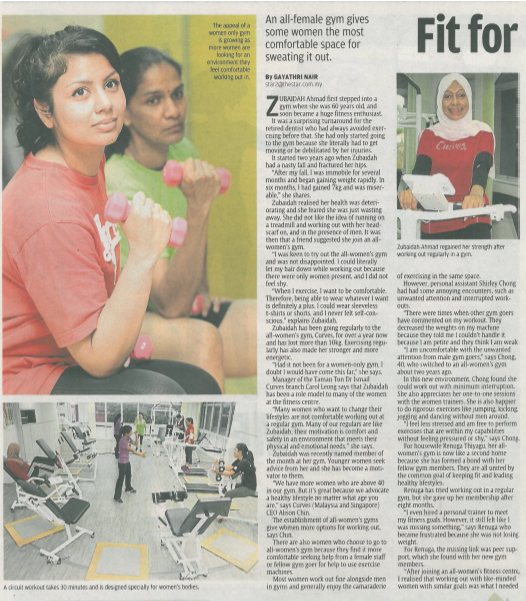 ZUBAIDAH Ahmad first stepped into a gym when she was 60 years old, and soon became a huge fitness enthusiast. It was a surprising turnaround for the retired dentist who had always avoided exercising before that. She had only started going to the gym because she literally had to get moving or be debilitated by her injuries. It started two years ago when Zubaidah had a nasty fall and fractured her hips.